In case you don’t already know it, I’m obsessed with coffee shops. Independent ones. A year of working at Starbucks burned me out on the big boys. I’ve lived near this one for years now and only just tried it out recently — I can’t explain why this happened but I’m glad I turned this colossal mistake around. 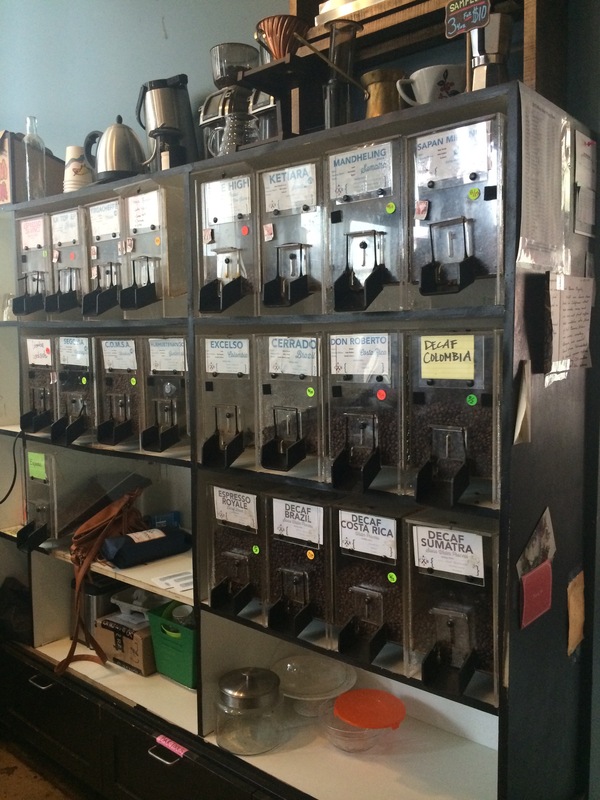 Cool Beans Coffee Roasters is located half a block off Marietta Square and run by local couple Kevin and Jennifer Langill. 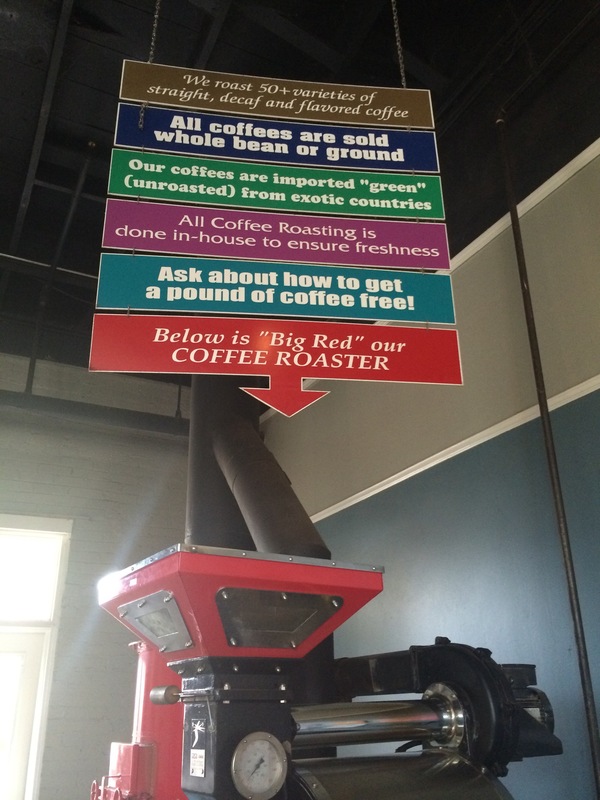 Kevin discovered the shop when it was Cormier Coffee Roasting Company back in the early 90s. When the original owner put it up for sale several years later, he jumped on the opportunity. Local art, an eclectic collection of tables, nooks to hide away with your laptop and the presence of “Big Red” the massive coffee roaster by the back door set the quirky, independent vibe. I was there on a Tuesday morning and the stream of customers was steady with at least half the table full at all times. They also have outdoor seating in the back. 31 Mill Street Suite 100 Marietta, GA 30060 They are half of a block west off of the Northwest corner of the Historic Marietta Square. Previous Previous post: The Pigs & Peaches BBQ Festival and upcoming events in metro Atlanta you shouldn’t miss.